Each week, Grand parker offers new and exciting weekly bonuses for you to exploit. They have new and exciting bonuses for slots and table games. Be sure to always check into their promotions page and make use of the bonuses on offer. Through these promotions, Grand Parker Casino keeps up to its mission which is providing luxury gaming. 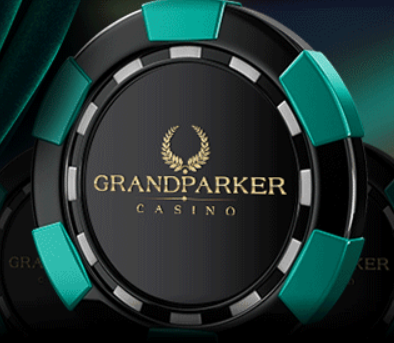 Grand Parker’s main aim is to offer players with elegant and high-end gaming experiences. They are able to continuously offer excellent gaming thanks to their sophisticated casino software offered by Topgame software, as well as, their professionally trained and experienced support staff members. To make it possible for you to redeem their bonuses, you need to have quality, reliable and secure banking systems. In this case, I will bring to your attention some of the most used, secure, instant and reliable banking systems available to you when at Grand Parker Casino. Some of the options you have include; Skrill, Neteller, Ukash, Ecocard, MasterCard, Visa and Click2Pay. Are you down and experiencing Monday Blues? Grand Parker has the right treatment for you. With their exclusive bonus on deposits, you get a whole lot more in bonus money. Make a deposit of up to $2,000 and get 200% bonus to be used in slot games; use the code 200MONEY to get the bonus. If you are a table games fan, go for the 125% bonus and redeem it using the bonus code 125MONEY. On Tuesday, things get bubbly with yet another offer on deposits of up to $2,000 for the slots bonus, you get 200% match up on your deposit; redeem this offer with the bonus code: 200TOURNEY. For the table game bonus, you get 150% match up on your deposit and to get this bonus, use the bonus code 150TOURNEY. Wednesday is made a wicked day for you; make a deposit of up to $2,000. For a bonus on the slots, get as much as 280% in match up by using the bonus code WICKED280. If you’re a table game fun you will get a match up bonus of 180% on your deposit; all you have to do is use the bonus code WICKED180. On Thursdays you get to redeem your slot bonus on deposits you make of 200% match up using the bonus code 200SPIN. For the table games, you will get 125% match up on deposits where you redeem the bonus using the coupon code 125THURS. Weekends at Grand Parker Casino start from Friday and end on Sunday. During this period make a deposit of as much as $2,000. Redeem your slot games bonus using the bonus code 250WEEKEND for a bonus of up to 250% and a table game bonus of 150% match up using the bonus code 150WEEKEND. These and many more bonuses are up for grabs at Grand Parker Casino. Have your eyes on the promotions page and you will have a lot to reap from the casino.